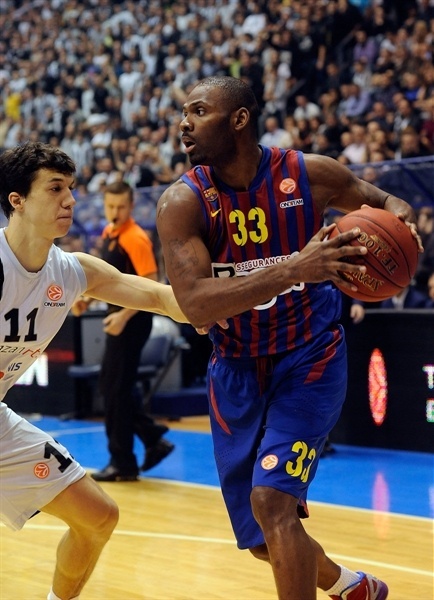 FC Regal Barcelona remained the lone unbeaten team in the Euroleague after rallying from an 11-point deficit to pick up a 67-68 overtime win over Partizan mt:s Belgrade in front of packed Hala Pionir in the Serbian capital on Thursday night. 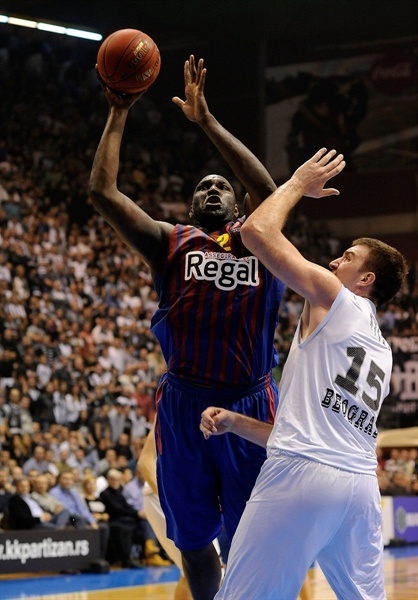 Former Partizan player Nathan Jawai was Barcelona’s hero, as he blocked a potential game-winning floater from Djordje Gagic in the final seconds of overtime to keep Barcelona’s perfect record intact. Barcelona now holds 9-0 record a top of Group D, while Partizan drops to 2-7 and will need to beat Bamberg next week to have a chance to advance to the Top 16. Juan Carlos Navarro led Barca with 10 points, Joe Ingles scored 9 and Jawaii and Pete Mickeal finished with 8 each in victory. 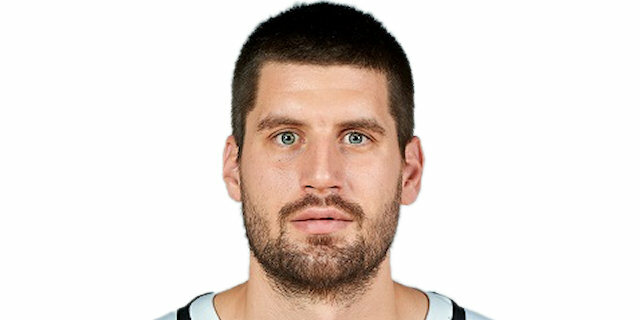 Dragan Milosavljevic had game-high 14 points on 7-for-7 two-point shooting for Partizan. Gagic and Dejan Musli each scored 12, while Vladimir Lucic finished with 10 points plus 8 rebounds. 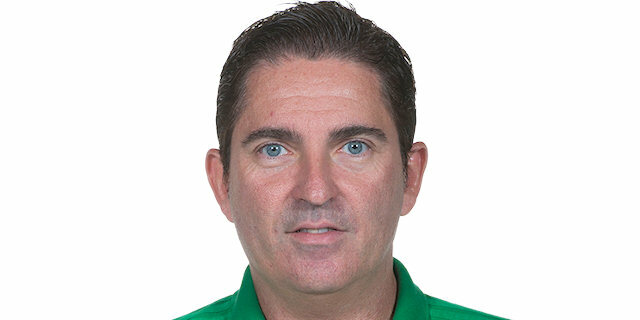 FC Regal Barcelona head coach Xavier Pascual opted to give Sarunas Jasikevicius, C.J. Wallace and Jawaii their first starts of the Euroleague season, but it was Partizan’s regular starter Musli who hit a fadeaway shot to open the scoring. The teams traded baskets early on, as Musli made another shot from close range, while Joe Ingles and Jawaii scored inside. After Bogdan Bogdanovic and Jasikevicius traded jumpers, the visitors took a 6-10 lead with another inside move from Jawaii. However, Musli, Nemanja Gordic and Milosavljevic scored on consecutive possessions for Partizan to regain the lead and fire-up the crowd. The defenses on both ends of the floor dominated the first quarter, as both teams struggled to get open looks and managed to produce only one field goal in the final four minutes of the quarter. It was big man Gagic who hit a mid-range jumper to give the hosts a 14-13 lead after the first quarter. Gordic drove the lane for a layup on the opening possession of the second quarter, and started a run of 10 unanswered points for the hosts. While Partizan held Barcelona scoreless in the first four minutes of the quarter, Gordic scored on a fastbreak and Milosavljevic scored from close range and hit a long jumper that extended the lead to 24-13. The visitors were without a single field goal for a stretch of more than 10 minutes before Ingles scored a fast break dunk. That gave a spark to Barcelona’s offense as Mickeal, Ante Tomic and Wallace suddenly each added a basket inside and cut the deficit to 27-22. Then Partizan struggled to produce a field goal, but the hosts went 6 for 8 from the foul line in the final six minutes of the quarter to preserve their advantage, 30-25, at halftime. 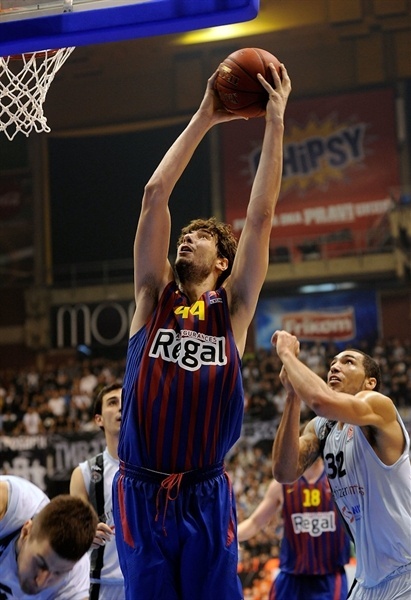 A layup-plus-foul from Victor Sada got Barcelona off to a better start in the third quarter. Milosavljevic made a fastbreak dunk on the other end, but Navarro hit the first triple of the game as the visitors regained the lead, 32-33. The teams continued to exchange leads as couple of dunks - one from Gagic and a driving two-handed slam from Milosavljevic - pushed Partizan back in front 38-35 before a floater from Wallace and 3 points from the foul line by Jasikevicius gave the visitors a 1-point advantage. Musli answered with a bucket from close range put Partizan ahead 44-43 edge going into the fourth quarter. Musli started things in the fourth quarter, this time with a dunk, but Xavi Rabaseda hit a wide open three from the right corner and then stole the ball and made an easy dunk to make it 46-48. Milosavljevic stayed hot with a mid-range shot off the glass, but Jasikevicius answered with a jumper and assisted on a Jawai layup that made it 48-53. However, Partizan quickly tied the game after Westermann first threw a pass for a Gagic alley-oop dunk and then sank a triple – the first three-point shot from a Partizan player in the game. It set things up for a thrilling finish where every possession felt like a crucial one. Marcelinho Huertas answered with a three-pointer for 53-56 and Tomic blocked Drew Gordon’s layup attempt to keep Barcelona in front, but Westermann’s uncontested driving layup made it a 1-point game before Lucic hit a shot from downtown 60 seconds before the end to put Partizan up 58-56. 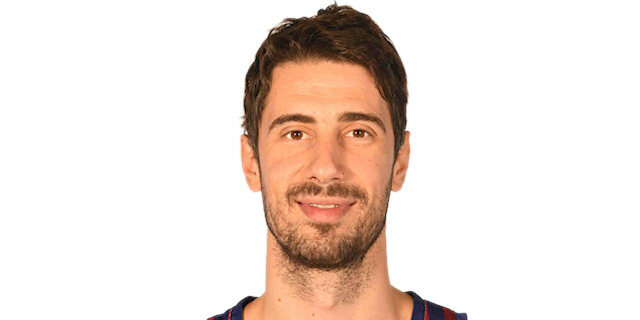 Navarro made a pair from the foul line to tie it 58-58, before Tomic stole the ball in the paint and give Barcelona the final possession of regulation. The visitors had two shots to win it, but Mickeal missed a wide-open three and Wallace’s fadeaway did not reach the rim. What they missed on the final possession of regulation, Mickeal and Wallace made up at the start of the extra session as their layups gave Barcelona a 58-62 edge. Gagic and Tomic traded baskets inside, then Lucic and Navarro each hit a pair of free throws to maintain the margin at 4 points. However, Lucic sank a three-pointer to make it a 1-point game, and Gagic took a pass from Westermann for an alley-oop layup to give Partizan its first lead in overtime, 67-66, with 26 seconds remaining. Wanting the ball for the final, Partizan purposely sent Huertas to the foul line. Huertas made both free throws with 15 seconds to go to make it 67-68. On the final play, Jawaii soared to block a Gagic floater in the final seconds to secure victory for the visitors. "It was a very quality game. This was a real championship night, a basketball holiday. Partizan showed heart and quality according to our youth. We have to practice even harder and to learn to cut the number of mistakes during the game. We played two games with Barcelona and one ball decided the winner. That makes us proud." "Congratulations to the Partizan fans for an excellent show. It is a kind that can never be seen anywhere else. We did not open the game well, but we grew step by step. I think we were very good in the final period and in overtime. This is a very important win for us. " "We lost even though we had a shot for the win. 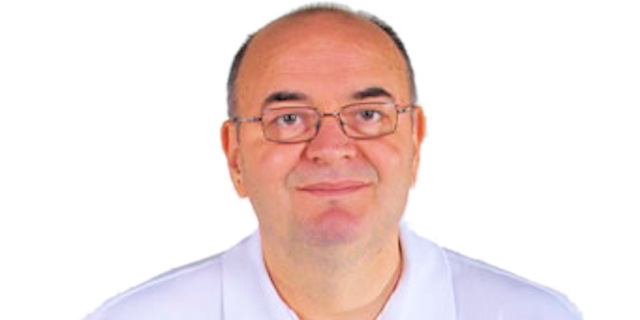 That has happened to us many times this season in the Turkish Airlines Euroleague, unfortunately. We gave our best, but Barcelona is a big club and team. I was the one that missed the last shot in overtime... We are not giving up. We are going to beat Bamberg next week and reach the Top 16." "The key was our energy and defense in the second half and overtime. We managed to put Partizan’s rebounding under control. We finally won with only 3 three-pointers made and with 20 turnovers in an atmosphere like this. I think it is a big deal."